Sacred Sites: The Secret History of Southern California. (Lincoln: University of Nebraska Press, 2010). Winner: Non-fiction, Southern California Independent Booksellers Association; Winner: Poetic Narrative, PEN Oakland Josephine Miles Award. Bestseller: Los Angeles Times. El Ojo de la Matriz. (Madrid,Vision Libros, 2010). Bilingual edition of Eye of the Womb translated by Nancy Dale Nieman and Milagros Salvador. Introduction by Beatriz Villacañas. Wisdom of the East: Stories of Compassion, Inspiration, and Love. Editor. (Chicago: Contemporary Books/McGraw-Hill, 2002). Foreword: His Holiness, the Dalia Lama. Rita Moreno (New York: Chelsea House, 1993). Tulips (Santa Cruz, CA: Exiled-in-America Press, 1991). Translations (with Dr. Nancy Dale Nieman) of poetry by Ana Rossetti. A bilingual chapbook. Eye of the Womb (Nevada City, CA: Power Press, 1981). Poetry. Selected by UCLA and Yale University libraries for their Special Collections. “A Choral Quilt of Hope: The Universal Declaration of Human Rights:” Text adaptation; choral work by composer Adrienne Albert (www.adriennealbert.com). Performances: “A Choral Quilt of Hope,” American Jewish University’s Human Rights Week (2013); “Preamble,” One Light: An Ecumenical Commemoration of 9/11, steps of Los Angeles City Hall (2011); “Preamble,” All Pasadena High School Choir, Pasadena Human Rights Day (2010); “Preamble,” Walter Hoving Home for Women Choir, Pasadena Human Rights Day (2009); “Preamble:” Canterbury Choir, All Saints Episcopal Church, Pasadena (2008); “Preamble:” LA Children’s Chorale, Pasadena Human Rights Day (2008); Spoken and Sung version, Beyond Baroque Literary Center Celebration of the 60th Anniversary of the Universal Declaration of Human Rights (2008). “Human Beings: Singers, Balance Keepers,” excerpt from Sacred Sites: The Secret History of Southern California. Ensemble Jourine: Hybrid Writing by Women. Julia Doughty, ed. (Fall 2011). 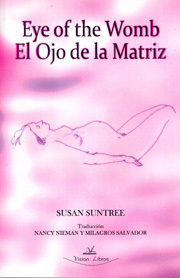 “El Ojo de la Matriz.” Piedra del Molino: Revista de Poesia (No 12, Spring 2010). “At the British Museum Library” and “Rain River Wetland” and “Caviar, Mango, Endive” “Zinkzine 6 (On-line literary review: www. zinkville.com, January 2004). “Write!” The Spirit of Writing: Classic and Contemporary Essays Celebrating the Writing Life. Mark Waldman ed. (New York: Tarcher Putnam, 2001). “Paper Whites.” Kshanti Literary Review (On-line literary journal: www.literary.org Spring 1999). “Purify Me,” translation of poem by Ana Rossetti (with Nancy Dale Nieman). Prairie Schooner. (University of Nebraska Press, Winter 1999). “Feast of the Holy Name,” “Garden of Your Delights,” translations of poems by Ana Rossetti (with Nancy Dale Nieman). REALl (Stephen F. Austin State University Press, Summer 1998). “Birthing Brings Me.” Journey into Motherhood. Leslie Kirk Campbell, ed. (New York: Riverhead Books, 1996). “At the Door of the Cabaret,” translation of poem by Ana Rossetti (with Nancy Dale Nieman). Community Endeavor (Nevada City, CA: Vol. 6 No. 3, Pg. 11, February 1992). “At a Buddhist Temple in April.” Not Mixing Up Buddhism: Essays on Women and Buddhist Practice. Deborah Hopkinson, ed. (Fredonia, NY: White Pine Press, 1986). “Dedication of a Tree.” Artists-Artistas: A Bilingual Journal (Los Angeles, 1985). “Birthing Brings Me,” “ Newborn,” “ Swaying.” Mother Poet Anthology. Peggy O’Mara McMahon, ed. (Albuquerque: Mothering Publications,1983). “For My Unborn Baby.” Hard Pressed. (Sacramento: Fall 1981). “Gift for Ishtar,” “Gaia.” Book of the Goddess. Ann Forfreedom, ed. (Sacramento: Temple of the Goddess Within Publications, 1980). “A Crone’s Vision.” Wise Woman Newsletter. (Sacramento: Temple of the Goddess Within, Fall 1980). “Passage on Highway 80.” A Rainbow Has to Do Her Work. (Berkeley: Aldebran Review, 1980). “A New Garden.” We Speak Anthology. (Nevada City, CA: Woman’s Center, 1979). “Berkeley Food.” City of Buds and Flowers: A Poet’s Eye View of Berkeley. (Berkeley: Aldebran Review, 1977). “An Old Poet Discusses Dying.” Anthology of the First Annual Women’s Poetry Festival of San Francisco. (San Francisco: New World Collective, 1977). “Feet.” Journal of Cultural Transformation. (Modesto, CA, 1974). “Origins of Praise.” The House of Women: Women’s Art and Culture in the Eighties. Sondra Hale, ed. (Long Beach: California State University at Long Beach, 1986). “Beyond Baroque: Star and Spur” Harry Northup’s poetry blog: http://timestimes3.blogspot.com/2017/05/beyond-baroque-star-and-spur.html. “Women’s Theatre: Transforming Dreams” (chapter). Women’s Culture in a New Era: A Feminist Revolution?. G. Kimball, ed. (Scarecrow Press, 2005). “FrogWorks in Los Angeles” (chapter). Playing Democracy: International Perspectives on Urban Community-based Performance. Susan Haedicke and Tobin Nellhouse, eds. (University of Michigan Press, 2001). “Earth Water Air Los Angles: An Urban Trek to Save the Last Open Spaces” (with Jan Williamson). Organization and Environment. (Thousand Oaks, CA: Sage Publications, September 1999). “Evaluation and Recommendations” and “The Storytellers Film” Edgy Storytellers: A Film Companion and Theatre Workbook. Susan Vaneta Mason and Eugene van Erven, eds. (Houghten, The Netherlands: Atalanta Publishers in collaboration with International Drama/Theatre Education Association (IDEA), 1997). “Dynamic Exhibition: Making Theatre in Museums” (chapter). Redefining Archaeology: Feminist Perspectives. Anthea Burdock, ed. (Canberra: Australian National University Press, 1998). “Two Successes” My Eyes All Out of Breath: Statewide Anthology of California Poets in the Schools. Gail Newman and John Oliver Simon, eds. (San Francisco: California Poets in the Schools Publications, 1981). “Women’s Theatre – Creating Our Dream Now” (chapter). Women’s Culture: The Women’s Renaissance of the Seventies. Gayle Kimball, ed. (Metuchen, NJ: Scarecrow Press, 1977). “La Posada” at Our Lady Queen of Angeles Church, and “Everyman In the Mall” by Cornerstone Theatre at Santa Monica Place Mall. Theatre Journal (Johns Hopkins University Press, December 1995). “Europeras 3 & 4” by John Cage at the Long Beach Opera, and “The Grateful Dead” in concert at the Oakland Arena. Theatre Journal (Johns Hopkins University Press, December 1994). “Twilight: Los Angeles” by Anna Deavere Smith at the Mark Taper Forum. Theatre Journal (Johns Hopkins University Press, March 1994). “The Desert Music: A Live Sho” by George Coates at Performance Works. Theatre Journal (Johns Hopkins University Press, December 1993.) Published under the name Frances C. Stout. “Ivona: Princess of Burgundia” by Witold Gombrowicz at the Odyssey Theatre Company, and “Nonoxynol-9,” a punk band at the Anti-Club. Theatre Journal (Johns Hopkins University Press, October 1993). “An Evening with Adrienne Rich and Mary Daly” at the College of Marin. Poetry Flash (San Francisco, September 1977). “This is For the World” conceived and directed by Anita Patterson at the Oakland Ensemble Theatre. Poetry Flash (San Francisco, July 1977). “The First Annual Women’s Poetry Festival of San Francisco” (with Jana Harris). Poetry Flash (San Francisco, June 1977). “Whale Honey: A Ritual Poem Play” by Diane di Prima at Intersection. Poetry Flash (San Francisco, October 1975). “Gehry Enters Fray Over Ballona Wetlands, Meets with Playa Vista Project Opponents.” Santa Monica Mirror. Vol. III, Issue 7 (17 August 2001), p.1,7. “Express Yourself: Writing and Speaking.” Everything You Need to Know to Succeed After College. Gayle Kimball, ed. (Chico, CA: Equality Press, 1993). “Ah! Adonis” (January 1990), “On Aphrodite” (December 1989), “Gods and Goddesses–Old Ways to New Styles” (May 1989). Sensuelle (Los Angeles: Melrose Square Publishers). A Finnish Carnival: Finnish Mumming Plays. (Helsinki: Helsinki Folklore Institute, 1975). “Poetry Los Angeles: Reading the Essential Poems of the City” Featured Panel, AWP 2016. Moderated by Laurence Goldstein. Los Angeles, 1 April 2016. “Visions of the West.” Panel moderated by Jonathan Kirsch. Los Angeles Times Festival of Books, University of Southern California, 21 April 2012. Broadcast on CSPAN BookTV. “Sacred Sites: The Secret History of Southern California.” Speaker and panel participant. 4th Annual Native American Film and Speaker Conference, Pitzer College, 2011. 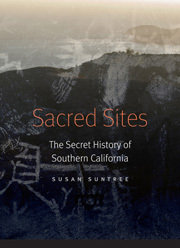 “Sacred Sites” The Secret History of Southern California.” Alumna Writers. Tucson Festival of Books, University of Arizona, 12 March 2011. “Sacred Sites: The Secret History of Southern California,” Land and Literature panel, California Indian Conference, University of California at Irvine, 2010. “Legislative Theatre: How Could TO/ATA have Changed Elections in 2000?” Panel participant. Boal Symposium at the Los Angeles Theatre of the Oppressed Conference, University of Southern California, 2001. “Art in Action for Los Angeles Wetlands.” Panel on Positive Activism: A New Approach to Saving Our Water. California Water and Waterways: Artist Intervention in Preservation, University of California at Irvine, 2000. “FrogWorks: Saving Private Pickle Plant.” Panel on Performing Democracy: Issues Circumscribing the Theory and Practice of Community-Based Performance. American Theater in Higher Education, Washington D.C., 2000. “Translators As Writers,” Panel on Literary Translation. PEN Salon, Los Angeles, 2000. “Earth Water Air Los Angeles Performance Trek.” Panel on Theater As Witness. American Theater in Higher Education, San Antonio, 1998. “FrogWorks and the Earth Water Air Los Angeles Performance Trek.” Panel on Redemption Through Nature? Notions of Authenticity and Progress in Urban and Rural Landscapes, and in the Poster Session. Second Biennial Conference of the Association for the Study of Literature and the Environment. Missoula, MT, July 1997. “Masks in Political Street Theater.” Panel on Mask Works II: Inventive Applications of Masks in Production and Training. American Theatre In Higher Education, Chicago, 1997. “FrogWorks In Los Angeles.” Panel on Breaking Down the Walls: Dramaturgy and Community Based Theatre. American Theatre in Higher Education. Chicago, August 1997. “The Sacred Geography of Los Angeles.” Presentation at Knowing the Land We Live On – A Bioregional Workshop presented by The Earth Trust Foundation. Malibu, CA, 1996. “A Bioregional Pilgrimage.” A lecture and guided tour at The Power of Place: Knowing the Land We Live On – A Bioregional Conference, presented by The Earth Trust Foundation. Malibu, CA, 1996. “Dynamic Exhibition: Museums, Science, Theatre.” Panel on Pictures Past and Present. Third Australian Women in Archaeology Conference. Sydney, Australia, 1995. “Influences of Folk Drama on Modern Theatre.” Panel on Folklore and the Arts at the California Folklore Society Meeting. Modesto Community College, 1986. “The California Arts Council-National Endowment for the Arts Folk Art Residency in Oroville.” Panel on Community Outreach Projects at the California Folklore Society Meeting. California State University at San Jose, 1978. “St. Knut’s Day Mumming in Finland.” Panel on European Folklore at California Folklore Society Meeting. Fresno, CA, 1975. “Folklore in the Teaching of Drama.” Panel on Lore, The Lorist, and Turning on the Turned-Off Student at the Secondary Level at California Folklore Society Meeting. California State University at Sonoma, 1974. “The Nature of Nature in Los Angeles.” American Jewish University, Los Angeles, CA, 2013. “What is a Ritual?” Theatre Department Freshman Foundation course, Mellon Foundation Elemental Arts Initiative, Pomona College, 2012. “Sacred Sites/Los Angeles: A Prehistory of the City from the Big Bang to 1542;” Graduate Program in Education, Antioch College, Marina Del Rey, CA, 2000. “American Women Writers: A Personal Anthology;” American Studies Department, University of Utrecht, Netherlands, 1999. “Feminism, Buddhism, and The Beats.” American Studies Department, University of Utrecht, Netherlands, 1999. “Multi-cultural Theatre in Los Angeles.” Theatre Department, University of Utrecht, Netherlands, 1998. “A Sense of Place – Using Alternative Sites and Subjects.” Theater Department, Sarah Lawrence College, 1989. “Interplay – A Performance Retrospective: 1977 – 88.” Gender, Culture, and Religion Program, Harvard Divinity School, 1989. “Alternatives: Site, Subject, Source.” Theatre Department, Pomona College, 1986. “Women and the Creative Process.” American Association of University Women (AAUW) Conference, (Grass Valley, CA), 1979. Culture in the Canyon Chautauqua Series, Santa Monica Mountains Conservancy, (July 2011). “Sacred Sites: The Secret History of Southern California: reading and performance. Roosevelt High School, 1997, 1999, 2000, 2001. PEN Writers in the Schools Residency and Sacred Sites/Los Angeles tours. Archer School for Girls, 1998. Sacred Sites/Los Angeles workshop and tour. California State University at Northridge, 1986, 1987, 1989. Very Special Arts Festival Workshop Leader: storytelling, masks. Santa Monica Schools Gifted and Talented Education Program (GATE), 1986-87. Visiting Artist: masks, drama, poetry. Her Voice-Our Voices National Gathering on Women’s Spirituality and Culture, 1985. Resident Artist: masks, creative writing. UCLA ArtsReach, 1983-85. Theatre and Movement classes for disabled adults at service sites throughout Los Angeles. Nevada County Community Workshop, 1981-82. Resident Artist: poetry, puppetry, theater for disabled adults. Sunflower School, (Nevada City, CA), 1981-82. Playwriting workshop for middle school students. California Poets in the Schools, 1977-82. Poetry workshops for students and teachers (grades 1-8) at schools throughout Nevada County, CA. Primitive Arts Institute, 1976-83. Resident Artist: masks, ceremonies, ritual drama.